1. There shall be Three Financial upgradations under MACPS counted from the direct entry grade on completion of 10, 20 and 30 years respectively. 2. All cadres including Group A (excluding organized Gr.A services) are eligible for grant of MACP. 3. The scheme would be operational w.e.f. 01.09.2008. In other words, financial upgradations as per the provisions of the old ACP of August, 1999 would be granted till 31.08.08. 4. Financial up gradation will be in next higher grade pay in the hierarchy of Grade Pay and not in the promotional hierarchy. 5. A Screening Committee shall be constituted and follow a time schedule to meet twice in a financial year preferably in the month of January (April to September) and of July (October to March). 6. Financial upgradation under MACPS is purely personal to the employee and staff shall have no relevance to his seniority position. As such no stepping up of pay in the PB & GP would be admissible with regard to junior getting more pay than the senior on account of pay fixation under MACPS. 7. No past cases would be reopened. The differences in pay scales on account of grant of financial upgradations under old ACP and new MACP within the same cadre shall not be construed as anomaly. 8. The financial upgradation under the MACPS would be admissible up to the highest grade pay of 12,000 in PB-4. 9. The pay shall be raised by 3% of the total pay in the pay band and the grade pay drawn before such upgradation. There shall be no further fixation at the time of regular promotion if it is the same grade pay as granted under MACPS. 10. An employee who completes 10 years of service in a particular grade will qualify for grant of MACP. Service rendered in a lower grade will not be counted for grant of MACP after completion of total qualifying service of 10 years. For example if an employee gets regular promotion to the next grade after completion of 5 years of service in a particular grade, he will have to wait till the completion of 15 years of regular service for 2nd MACP. Likewise 3rd MACP for him will be given after completion of 25 years of regular service. 11. However, after 1st regular promotion or 1st MACP, completion of 10 years of regular service in a grade or total qualifying service of 20 years or 30 years whichever falls earlier will be the milestone for grant of next MACP. 12. The service rendered by the existing employees prior to implementation of the MACPS viz., prior to 1.9.2008, will also be taken in to account for calculating the 10, 20 and 30 year milestones for granting MACP. 13. Similarly, employees who were granted financial upgradation under previous ACP scheme i.e., prior to the introduction of MACPS with effect from 1.9.2008, will be eligible for financial upgradation under MACPS after completion of 20 years and 30years of service, irrespective of regular promotion given to them if any, between their 10 to 20 years of service or between 20 years and 30 years of service. For example if an employee was given 1st ACP under old ACP Scheme after completion of 12 years of service and a regular promotion after completion of 18 years of service, he will be eligible for 2nd MACP after completion of 20 years of service. 14. Promotions earned /upgrading granted under the ACP scheme in the past to those grades which now carry the same grade pay due to merger of pay scales /upgradations of posts recommended by the Sixth Pay Commission shall be ignored for the purpose of granting upgradation under MACPS. 15. Financial benefit an employee gets as a result of pay fixation during MACP will be 3% of basic pay (pay in pay band plus the grade pay before MACP) and the difference in Grade pay before MACP and grade pay after MACP.Option for fixation of pay is also available. 16. If an employee gets a regular promotion to a grade which carries same grade pay which he is receiving now after grant of MACP, no further pay fixation will be allowed at the time of said regular promotion. If an employee gets a regular promotion to a grade which carries higher grade pay than the grade pay he is receiving now after grant of MACP, no further pay fixation will be allowed on account of the fact that his pay would have been fixed at the time of grant of MACP itself. However, difference in the grade pay he is getting now and the next grade pay in the hierarchy will be allowed as monetary benefit at the time of promotion. 17. In the case of employees who have been either promoted or given ACP prior to 6CPC implementation from a grade to another grade, pay scales of which have been merged now after 6CPC implementation, the said promotion or ACP shall be ignored and those emplyees are to be considered for financial upgradations equivalent to the number of milestones they have completed viz., 10 years , 20 years and 30 years milestones as the case may be prescribed in the MACPS for financial upgradations. 18. In cases where ACP was granted as per previous ACP scheme, but whereas after 6CPC implementation the next higher post which the employee got through ACP has been upgraded with higher grade pay, the pay of such employees in the revised pay structure will be fixed with reference to the higher grade pay granted to the post. To illustrate, in the case of an employee, who was granted 1st ACP in old ACP scheme to the grade which carried the pre-revised scale of Rs.6500-10500 corresponding to the revised grade pay of Rs.4200 in the pay band PB-2, he would now be granted grade pay of Rs.4600 in the pay band PB-2 consequent upon upgradation of the post to the grade pay of Rs.4600 in PB-2. However, from the date of implementation of the MACPS viz., from 1.9.2008, all the financial upgradations under the Scheme should be done strictly in accordance with the hierarchy of grade pays in pay bands as notified. 19. Grade Pay of Rs.5400 in PB-2 and Grade pay of Rs.5400 in PB-3 are two different Grade Pay for the purpose of MACP. 20. Bench Mark (CCR/ACR Gradings) is “Good” up to GP 6600 thereafter is should be “Very Good”. 21. ‘Regular Service’ for the purpose of MACPS shall commence from the date of joining of a post in regular basis either on direct recruitment or on absorption /reemployment basis. 22. If financial upgradations will not be allowed under MACPS after 10years due to DAR proceedings, this would have consequential effect on the subsequent financial upgradations. 23. On grant of financial upgradations under MACPS, there shall be no change in designation, classification or higher status. 24. If a regular promotion has been denied by the employee before becoming entitlement of financial upgradation, no financial upgradation shall be allowed. However financial upgradation will be allowed due to stagnation and subsequently refuses the promotion. 3. The Scheme would be known as "MODIFIEDASSURED CAREER PROGRESSION. SCHEME (MACPS) FOR THE CENTRAL GOVERNMENT CIVILIAN EMPLOYEES. This Scheme is in supersession of previous ACP Scheme and clarifications issued there under and shall be applicable to all regularly appointed Group "A", "B", and "C" Central overnment Civilian Employees except officers of the Organised Group "A" Service. 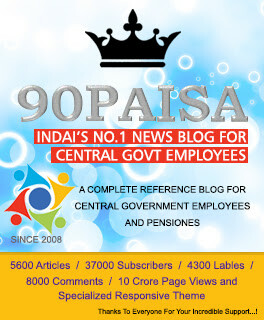 The status of Group "0" employees would cease on their completion of prescribed training, as recommended by the Sixth Central Pay Commission and would be treated as Group "C" employees. Casual employees, including those granted 'temporary status' and employees appointed in the Government only on adhoc or contract basis shall not qualify for benefits under the aforesaid Scheme. The details of the MACP Scheme and conditions for grant of the financial upgradation under the Scheme are given in Annexure-l.
4. An Screening Committee shall be constituted in each Department to consider the case for grant of financial upgradations under the MACP Scheme. The Screening Committee shall consist of a Chairperson and two members. The members of the Committee shall comprise officers holding posts which are at least one level above the grade in which the MACP is to be considered and not below the rank of Under Secretary equivalent in the Government. The Chairperson should generally be a grade above the members of the Committee. 6. In order to prevent undue strain on the administrative machinery, the Screening Committee shall follow a time-schedule and meet twice in a financial year - preferably in the first week of January and first week of July of a year for advance processing of the cases maturing in that half. Accordingly, cases maturing during the first-half (April-September) of a particular financial year shall be taken up for consideration by the Screening Committee meeting in the first week of January. Similarly, the Screening Committee meeting in the first week of July of any financial year shall process the cases that would be maturing during the second-half (October-March) of the same financial year. 11. It is clarified that no past cases would be re-opened. Further, while implementing the MACP Scheme, the differences in pay scales on account of grant of financial upgradation under the old ACP Scheme (of August 1999) and under the MACP Scheme within the same cadre shall not be construed as an anomaly. There shall be three financial upgradation s under the MACPS, counted from the direct entry grade on completion of 10, 20 and 30 years service respectively. Financial upgradation under the Scheme will be admissible whenever a person has spent 10 years continuously in the same grade-pay. 4. Benefit of pay fixation available at the time of regular promotion shall also be allowed at the time of financial upgradation under the Scheme. Therefore, the pay shall be raised by 3% of the total pay in the pay band and the grade pay drawn before such upgradation. There shall, however, be no further fixation of pay at the time of regular promotion if it is in the same grade pay as granted under MACPS. However, at the time of actual promotion if it happens to be in a post carrying higher grade pay than what is available under MACPS, no pay fixation would be available and only difference of grade pay would be made available. To illustrate, in case a Government Servant joins as a direct recruit in the grade pay of Rs. 1900 in PB-l and he gets no promotion till completion of 10 years of service, he will be granted financial upgradation under MACPS in the next higher grade pay of Rs. 2000 and his pay will be fixed by granting him one increment plus the difference of grade pay (i.e. Rs. 100). After availing financial upgradation under MACPS, if the Government servant gets his regular promotion in the hierarchy of his cadre, which is to the grade of Rs. 2400, on regular promotion, he will only be granted the difference of grade pay between Rs. 2000 and Rs. 2400. No additional increment win be granted at this stage. 2, he win now be granted grade pay of Rs4600 in the pay band PB-2 consequent upon upgradation of the post of Asstt. Enggs. In CPWD by granting them the grade pay of Rs.4600 in PB-2 as a result of Sixth CPC's recommendation. However, from the date of implementation of the MACPS, all the financial upgradations under the Scheme should be done strictly in accordance with the hierarchy of grade pays in pay bands as notified vide CCS (Revised Pay) Rules, 2008.7. With regard to fixation of his pay on grant of promotion/ financial upgradation under MACP Scheme, a Government servant has an option under FR22 (1) (a) (1) to get his pay fixed in the higher post/ grade pay either from the date of his promotion/upgradation or from the date of his next increment viz. 1st July of the year. The pay and the date of increment would be fixed in accordance with clarification no.2 of Department of Expenditure's O.M. N0.1/1/2008-1Cdated 13.09.2008. 8.1 Consequent upon the implementation of Sixth CPC's recommendations, grade pay of Rs. 5400 is now in two pay bands viz., PB-2 and PB-3. The grade pay of Rs. 5400 in PB-2 and Rs.5400 in PB-3 shall be treated as separate grade pays for the purpose of grant of upgradations under MACP Scheme. 9. 'Regular service' for the purposes of the MACPS shall commence from the date of joining of a post in direct entry grade on a regular basis either on direct recruitment basis or on absorption/re-employment basis. Service rendered on adhoc/contract basis before regular appointment on pre-appointment training shall not be taken into reckoning. However, past continuous regular service in another Government Department in a post carrying same grade pay prior to regular appointment in a new Department, without a break, shall also be counted towards qualifying regular service for the purposes of MACPS only (and not for the regular promotions). However, benefits under the MACPS in such cases shall not be considered till the satisfactory completion of the probation period in the new post. 13. Existing time-bound promotion scheme, including in-situ promotion scheme, Staff' Car Driver Scheme or any other kind of promotion scheme existing for a particular category of employees in a Ministry / Department or its offices, may continue to be operational for the concerned category of employees if it is decided by the concerned administrative authorities to retain such Schemes, after necessary consultations or they may switch-over to the MACPS. However, these Schemes shall not run concurrently with the MACPS. 14. The MACPS is directly applicable only to Central Government Civilian employees. It will not get automatically extended to employees of Central Autonomous/Statutory Bodies under the administrative control of a Ministry/Department. Keeping in view the financial implications involved, a conscious decision in this regard shall have to be taken by the respective Governing Body/Board of Directors and the administrative Ministry concerned and where it is proposed to adopt the MACPS, prior concurrence of Ministry of Finance shall be obtained.15. lf a financial upgradations under the MACPS is deferred and not allowed after 10 years in a grade pay, due to the reason of the employees being unfit or due to departmental proceedings, etc., this would have consequential effect on the subsequent financial upgradation which would also get deferred to the extent of delay in grant of first financial upgradation. 17. The financial upgradation would be on non-functional basis subject to fitness, in the hierarchy of grade pay within the PB-1.Thereafter for upgradation under the MACPS the benchmark of 'good' would be applicable till the grade pay of Rs. 6600/- in PB-3. The benchmark will be 'Very Good' for financial upgradation to the grade pay of Rs.7600 and above. 22. If Group "A" Government employee, who was not covered under the ACP Scheme has now become entitled to say third financial upgradation directly, having completed 30 year's regular service, his pay shall be fixed successively in next three immediate higher grade pays in the hierarchy of revised pay-bands and grade pays allowing the benefit of 3% pay fixation at every stage. Pay of persons becoming eligible for second financial upgradation may also be fixed accordingly.23. ln case an employee is declared surplus in his/her organisation and appointed in the same pay-scale or lower scale of pay in the new organization, the regular service rendered by him/her in the previous organisation shall be counted towards the regular service in his/her new organisation for the purpose of giving financial upgradation under the MACPS. 27. Employees on deputation need not revert to the parent Department for availing the benefit of financial upgradation under the MACPS. They may exercise a fresh option to draw the pay in the pay band and the grade pay of the post held by them or the pay plus grade pay admissible to them under the MACPS, whichever is beneficial. lf a Government servant (LDC) in PB-l in the Grade Pay of Rs.1900 gets his next regular promotion (UDC) in the PB-l in the Grade Pay of Rs.2400 on completion of 8 years of service and then continues in the same Grade Pay for further 10 years without any promotion then he would be eligible for 2nd financial upgradation under the MACPS in the PB-l in the Grade Pay of Rs.2800 after completion of 18 years (8+10 years). (iii) However, if he gets 2nd promotion after 5 years of further service in the pay PB-ll in the Grade Pay of Rs.4200 (Astt. Grade/Grade "C") i.e. on completion of 23 years (8+1O+5years) then he would get 3rd financial upgradation after completion of 30 years i.e. 10 years after the 2nd ACP in the PB-II in the Grade Pay of Rs.4600.In the above scenario, the pay shall be raised by 3% of the total pay in the Pay Band and Grade Pay drawn before such upgradation. There shall, however, be no further fixation of pay at the time of regular promotion if it is in the same Grade Pay or in the higher Grade Pay. Only the difference of grade pay would be admissible at the time of promotions. If a Government servant (LDC) in PB-I in the Grade Pay of Rs.1900 is granted 1st financial upgradation under the MACPS on completion of 10 years of service in the PB-l in the Grade Pay of Rs.2000 and 5 years later he gets 1st regular promotion (UDC) in PB-I in the Grade Pay of Rs.2400, the 2nd financial upgradation under MACPS (in the next Grade Pay w.r.t. Grade Pay held by Government servant) will be granted on completion of 20 years of service in PB-I in the Grade Pay of Rs.2800. On completion of 30 years of service, he will get 3rd ACP in the Grade Pay of Rs.4200. However, if two promotions are earned before completion of 20 years, only 3rd financial upgradation would be admissible on completion of 10 years of service in Grade Pay from the date 2nd promotion or at 30th year of service, whichever is earlier. If a Government servant has been granted either two regular promotions or 2nd financial upgradation under the ACP Scheme of August, 1999 after completion of 24 years of regular service then only 3rd financial upgradation would be admissible to him under the MACPS on completion of 30 years of service provided that he has not earned third promotion in the hierarchy. both of DOP&T ? Please clarify. I AM RETIRED ASST. FOREMAN .WORKED IN AN ORD FY JABALPUR.WHEN CONTACTED TO PERSON CONCERNED AT THE OFFICE,THEY INFORMED THAT PERSONS RETIRED ON OR BEFORE 31.08.2008, WILL NOT GET ANY BENEFIT OF MODIFIED ASSURED CAREER PROGRESSION SCHEME.I HAVE RENDERED 38 YRS SERVICE IN ORD FYS.LET ME KNOW IF I AM COMPETANT TO GET? I was serving as a junior clerk from 1988 onwards on adhoc basis. During June2008, I was selected through the Examination and posted as regular clerk and fixed in Rs.1900/- grade pay. But there is no benefit for me because of ACP and even Trackman are getting Rs.1900/- grade pay.I have put in 13 years of regular service and twelve years of CPC service.Is there any proposal to increase the grade pay from Rs.2000/- to Rs.2400/-? Kindly clarify! 50% recruitment of ACs is through recruitment. All the scales including the above mentioned are available to the cadre and the force. iv All the posts up to the scale of Rs.18400-22400 should be filled only by promotion. being treated as a second class citizen in their own organisation. The deputations at higher posts for which the IPS is neither qualified nor has any training nor even medical standards are blocking the avenues of the CPMF officers and ruining the culture of these organisations. VI CPC and Subsequent pay fixation creates anomaly in pay of senior and junior employees. ACP Granted between 01.01.06 and 30.06.06 are getting benefit of pay fixation by increasing their pay by 3% increment. Whereas those who have been granted ACP between 01.07.05 and 31.12.05 their pay fixed as on 01.01.06 and increment in July 06 as usual. Junior employees who got ACP between 01.01.06 to 30.06.06 getting more pay then his senior who got ACP in 2005. Can any body flash this issue?